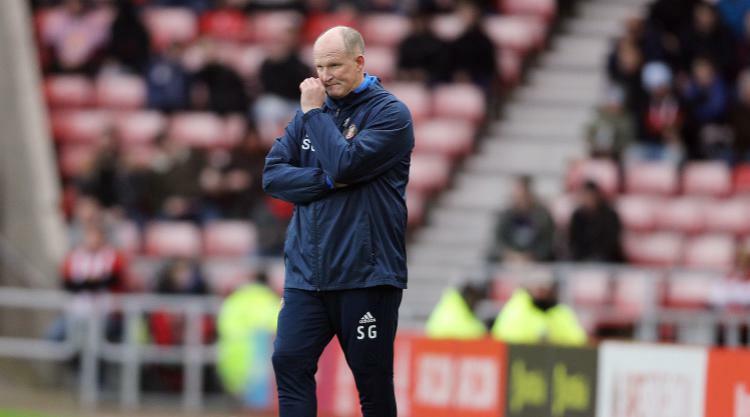 Sunderland are expected to appoint a caretaker manager on Wednesday after Simon Grayson was sacked with the club in the Championship relegation zone. The Black Cats are searching for their 11th permanent manager in less than nine years after Grayson's axing was announced just minutes after Tuesday's 3-3 home draw with fellow strugglers Bolton. It is understood an interim boss will be named on Wednesday ahead of Sunderland's clash with Middlesbrough in the Tees-Wear derby on Sunday. First-team coach Robbie Stockdale, an ex-Boro defender, could fill that vacancy while club ambassador Kevin Ball has been in caretaker charge on two previous occasions. Former Watford boss Billy McKinlay, who was promoted to the coaching staff by Grayson earlier this month, may also fit the bill. Grayson's exit, after just 18 games in charge, was confirmed barely 24 hours after he claimed he deserved a chance to put things right after having "the balls" to leave Preston and take the job in the first place. However, the cash-strapped club have made a change given they are currently in danger of becoming just the third team in the Premier League era to suffer successive relegations out of the top two tiers. Chief executive Martin Bain said: "Simon and his team have worked tirelessly to achieve the best for the football club during their time here. "While we hoped that Simon's experience in the Football League would help us to a successful season, results have not been good enough for a club of this stature. "In order for us to improve upon our current position, we believe a fundamental change is necessary." Sunderland have not won in 13 Championship games and last recorded a home victory 11 months ago against Watford in the Premier League. They currently reside in the drop zone having taken only 10 points from their 15 fixtures to date and have won just one league game all season. Bain, on behalf of owner Ellis Short, will now launch the search for a 10th permanent manager since Roy Keane left the club in December 2008. Grayson left Preston in the summer after a spell that lasted for more than four years to become David Moyes' successor at the Stadium of Light.